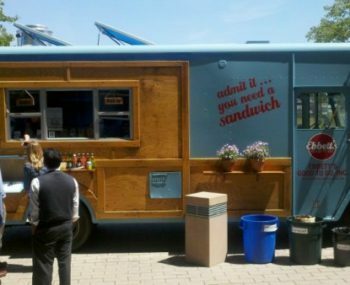 Ebbett’s owners Suzanne Schafer & Shari Washburn recently alerted us that she had sold her food truck that has been in operation since 2009. Ebbett’s has been a fixture of Emeryville where they were founded. Washburn was active in the fight to defend small business and, like most, advocated for a regional model. “We’ve always believed in paying our employees a decent wage, a living wage in order to attract and retain employees.” Washburn noted that based on her businesses margins, the scheduled $14.44 would cause her to close her business and her 10 employees would lose their jobs.